Ukraine international set to make White Hart Lane switch. 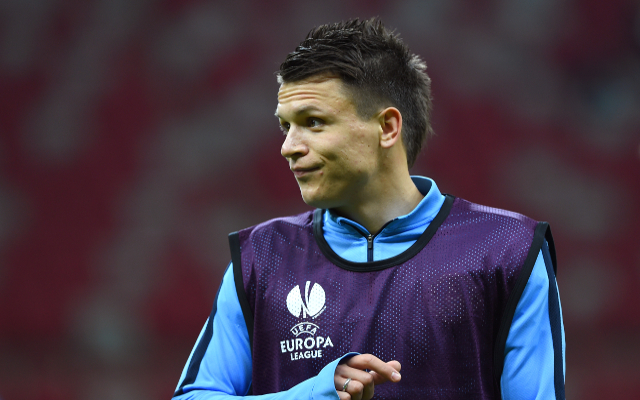 Tottenham are reportedly set to complete the signing of Dnipro winger Yevhen Konoplyanka according to Eurosport. The White Hart Lane side have apparently beaten La Liga side Sevilla and fellow Premier League outfit Liverpool in their push to sign the talented Ukrainian international. Yevhen Konoplyanka is available on a free transfer deal and could offer Mauricio Pochettino a hugely effective wide-attacking option and the move will call into question the futures of both Aaron Lennon and Andros Townsend at the north London side. Konoplyanka came close to joining Liverpool in January 2014 before the deal fell through in the eleventh hour and the Anfield side’s loss is set to become Tottenham’s gain. Lennon spent time last term on loan at Everton whilst Townsend has struggled to replicate his England national team form at club level and as such both players could be sold this summer. Konoplyanka has spent his entire professional career at Dnipro and is no doubt keen on a fresh challenge and is in a great run of form having helped his side to a Europa League final in 2014/15.